Chivas Regal has unveiled its oldest release to date – a 50-year-old blend bottled to celebrate the anniversary of Manchester United’s European Cup victory in 1968. 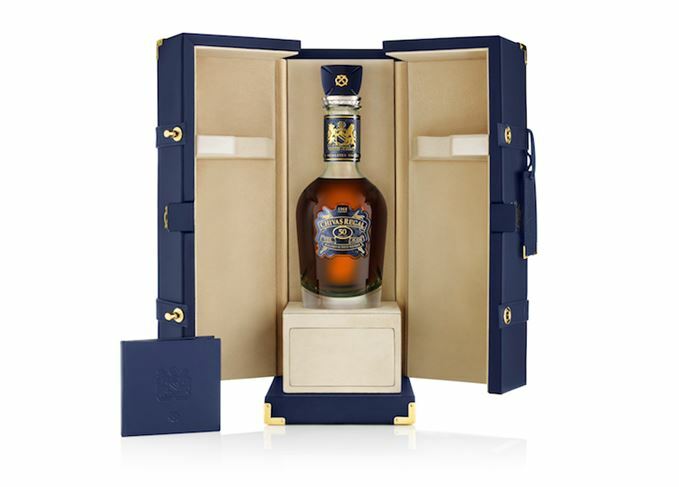 Only four bottles of Chivas Regal 50 Year Old The Icon have been created, to represent the four goals scored by the team in their extra-time victory over Benfica at Wembley. Chivas, announced as Manchester United’s official spirits partner in August, will give one of the four bottles to a fan who has supported the club ‘through every high and low’, with details to be released on Manchester United social media platforms shortly. Another bottle will be sold by Sotheby’s in an online auction from 23-30 November, with all proceeds donated to the Manchester United Foundation. Details will be posted on the Chivas website. The third bottle will be displayed at the Manchester United Museum, before being offered for private sale at an end-of-season event in 2019, with proceeds again going to the Manchester United Foundation. The final bottle will be put on display at Strathisla distillery on Speyside, the home of Chivas Regal. ‘To taste this whisky is to experience some of our oldest, most luxurious and rarest whiskies, some from now lost distilleries, hand-selected and brought together for their exceptional richness and fruity character,’ said Sandy Hyslop, director of blending at Chivas Brothers. The whisky is described as having ‘rich notes of honey, vanilla and dark chocolate, balanced by subtle hazelnut influences from the cask’. It is packaged in a hand-blown Dartington Crystal decanter, featuring a metal plaque referencing the European Cup victory, hand-carved and hand-painted in dark blue to match the shirts worn by the team in the final. Manchester United became the first English football team to win the European Cup with a 4-1 win over Portugal’s Benfica on 29 May 1968, thanks to two goals from Bobby Charlton, and one each from George Best and Brian Kidd.